We don’t like to be rejected, we usually like to be recognized and be welcomed as a person with dignity and uniqueness. We hate to be underestimated by the people around us and be embarrassed by them in terms of differences with attitude, character, color, belief, and customs. But, sad to say, it’s hard to deny the fact that rejection is an inevitable thorn of and for our existence and then we search for true happiness. Most of us experience this so-called “the tragic pain for our uniqueness”, and we cannot but accept this sad reality. Based on my experience, it’s really hard to be contaminated with rejection. It’s like a disease that kills not only our identity as social beings, but also our capacity to accept who we really are. It limits us to see the beauty of life and it place us into a dark cold night which brings fear, horror, and despair into our inner self. When we are rejected, it’s hard to appreciate not only ourselves but also the locus of our existence. Is love still possible when you feel that life is so unfair because of rejection? Will you still be feeling and encountering love even though our eyes are blocked with the darkness of rejection? For me, I believe, love is still possible in the midst of rejection. Despite the fact that rejection is a never-ending curse; love will always conquer it. The question is; how to find love in the midst of rejection? It is by our trust to God that He is Love and He will never let us feel restless despite the horror of rejection. We must always remember that God too also experienced rejection in the person of Christ and it is all because of love. 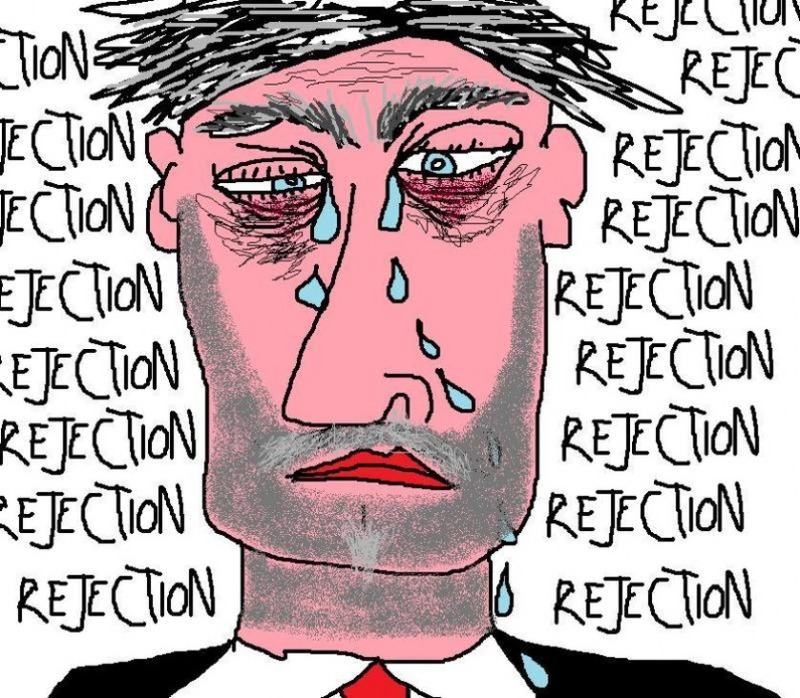 He knows what it means to be rejected because He felt it and experienced it. But, despite of this reality He did not stopped to be compassionate and merciful to His neighbors most especially to His enemies. His examples and attitudes towards the angst of rejection is an invitation for al of us not to give up with loving in spite of the many rejections we are experiencing. I t is also an invitation for all of us not to lose hope and to conform our lives to Him even though that we will find out that we are unworthy of His love, later on. Finding love in the midst of rejection is not an abstract and impossible; rather it is a challenge for each and every one of us that as a person that is love by God we must not lose our sight on Him. In every rejection that we encounter in life, we must never forget that He embraces us with a heart that whispers; do not worry my child; I am here willing to welcome you and accept you for who you are. You’re unique in my eyes because I formed you and created you from love and through love. I am always here for you to wipe away your tears of sorrow and regret. Believe in me for I assure you that I will never forget you for I have loved you with an everlasting love. We are not and we will never be in control of what’s happening around us. It suddenly comes like a blink of an eye, so we don’t easily notice it and be aware of it. For me, I call them tides. According to Merriam-Webster’s Dictionary, tides are something that fluctuates, rising, and falling in the surface of the ocean. They are something uncontrollable, unconceivable, and even somehow dangerous. The many contradictions and opposites happening around us are just like the tides that are hard to suppress. How to suppress the unsurpassable tides of today that brought angst in the life of Man? As I ponder upon it, this is what I found out; we cannot be going against the tides of life without our trust to someone higher that can calm and suppress the roar of it, i.e. God. Only God can control the pangs of tides if and only if we put our faith in Him. We can suppress the unsurpassable tides of today if we believe that God is with us and is helping us to surpass the reality of tides in our life. But, we cannot deny the fact that fear to be succumbed by the tides blocks our sight on what God can do if we put our trust in Him. It’s then a reality that tides are hindrance of our search for authenticity and better life. Even though tides in life are hard to suppress and surpass, we must believe that we have God who can lead us and help us to calm the roar of it. We must always think that we are bigger than the tides of our life if we consider God as our protector. We should always remember that we are not our problems and difficulties that are hard to surpass. 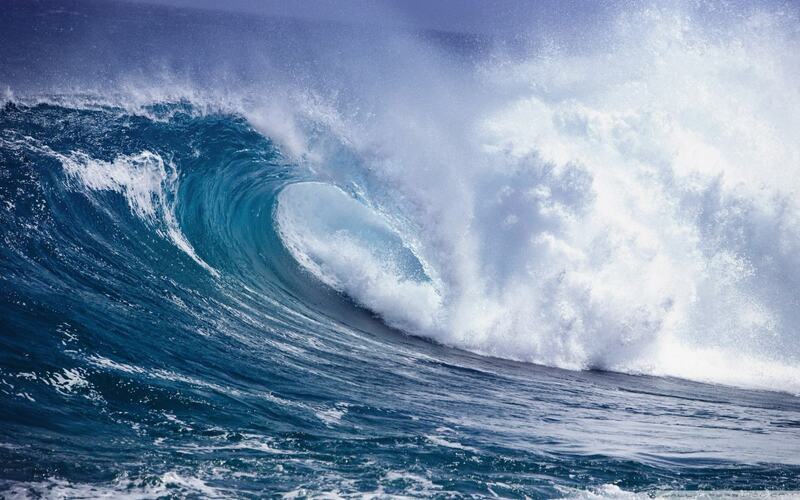 We will have the capacity to be against with our own tides in life if and only if we allow God to enter our hearts. They ABANDONed their nets and FOLLOWed him. The gospel for this Sunday moves me a lot. It invites me to revisit the day that I said my “yes” to the Lord in Religious Life. What made me say my “yes” to God that said “Come follow me”? It’s still a mystery which is hard to fathom until now, but as I was recalling that moment in my life, all I can say is that I was inspired by this line coming from the Scriptures which the Rogationists introduced to me; the Harvest is great, but the Laborers are few (Luke 10:2). 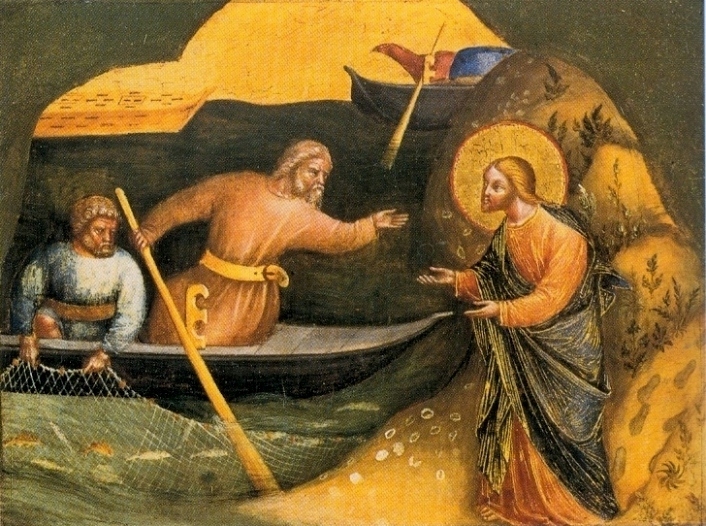 Like Simon and his brother Andrew who abandoned their nets and followed Jesus, and also with James and his brother John who left their father Zebedee in the boat along with the hired men and followed him, I too experienced this climactic scenario in my life. I never thought of entering in a seminary. The dream that I really wanted is to become a Chemical Engineer. Actually, I am not good in Math, but I was really so interested with engineering so I strived hard and persevere to understand and to imbibe the strictness of Math. Everything was already set in order for me to pursue my dreams when suddenly God intervened in the form of curiosity. When I was planning to process all the needed documents for a Chemical Engineering course, it was also the time that my friend Elmer invited me to join the vocation orientation in the Rogationist Seminary-Manila. Without any hesitation I said “yes” and curiously asked myself; “What is a seminary? And, what is inside of it?” And that’s how my vocation journey begun. Jesus always offers us a call. It is up to us, whether we follow His call or not and He respects our ability to make choices from the heart. At first, I don’t understand why He called me and why I immediately said my “yes” to His call. But, as I revisited all the experiences that I encountered in my vocation journey in the light of the gospel for today, now it is getting clearer and reasonable that He called me for a great purpose and mission. Indeed, Jesus called his first disciple not just to be his followers but also to be his co-workers for a great mission that God has bestowed in Him. However, it takes a lot of sacrifices in order to be his co-worker. Relating this to my vocation story, it was really a struggle for me to sacrifice all my plans and aspiration to become a Chemical Engineer for the sake of God’s own plans and aspirations for my life. Yes, I am free to say “No” to this, but the greatness of God’s mission prevailed and impelled me to say my “yes”. Now, I don’t feel any regrets in following the Lord. I am now doing my very best to be his co-worker despite the fact that I do have a lot of shortcomings, and I felt and still feeling the real happiness and joy inside my heart. It is really true that there is a ceaseless joy and happiness when you give everything and your whole self to God. I am really convinced that there is a bright side in giving up everything for the sake of abiding our lives to God. Are you willing to encounter this so called “stunning and defining experience”? It is simply abandoning everything and start following Him. Why do I need to love the broken roads that I walk through? Why do I need to accept the fact that they are my one-way ticket going to the Loving presence of the Lord? These are the many questions which really bother me a lot as I reflect upon the inevitableness of life’s broken roads. It is really hard to find an answer to these questions because it takes a lot of pondering and self-emptying. But, as I have just realized; though answers may not be enough in answering the questions in my mind, it’s okay. What matters most is the experience of being a pilgrim of my own broken roads. 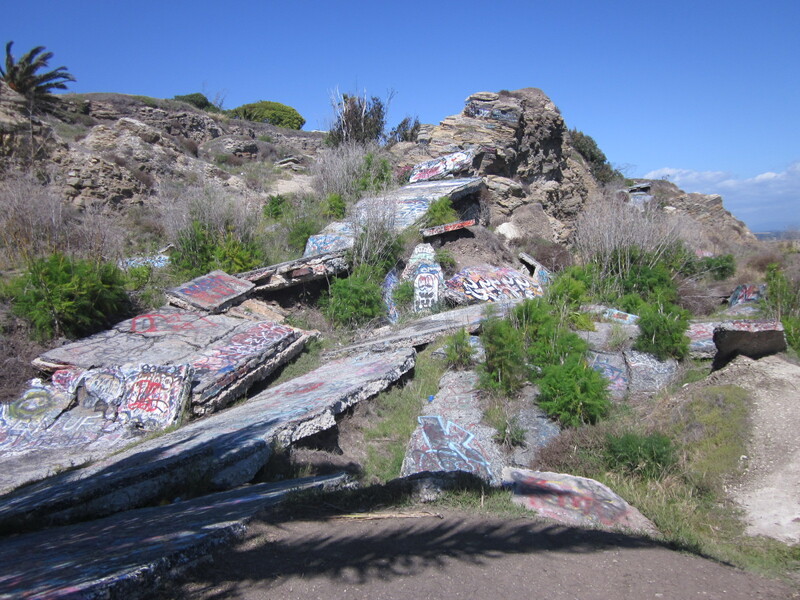 Why some roads in life should be broken? Actually, as I reflected upon this question that suddenly popped-up into my mind, it took me 30 minutes to reflect and to search for an answer. Unfortunately, I never found any. From this experience I realized that we cannot really fathom into our thoughts and our own words of what’s really behind the mind of God. Indeed, God’s ways are not our ways, and His thoughts are not our thoughts. All I can say about being about being a pilgrim of my own broken roads is this; lessons in life are truly manifested on every tough and difficult journey. In life, it’s really hard to accept that in every smooth journey there will always be an encounter of broken roads which challenges our perseverance and endurance to reach our destinations that we aspire for. But, is this an indication for me to give up. No, because I believe that its God’s way for me to strengthen my determination to pursue His plans and aspirations for me. I know that it’s not easy in my part to accept the fact that life is not an easy journey. But I know He will never leave me behind. He believes in me and He trust me. In this way, God would like to see in me that I am true and serious on what I am always saying to Him; i.e. He is enough for me. Why God allows us to walk through life’s broken roads? Actually, it’s hard for me still to define and understand the reason why He allows it. Some may say, He allows it because it’s a challenge for us to change our perspectives in life. Others may also say, He allows it because we need to be reminded that life is not an easy road trip. Which is which? There may be reasons why broken roads are an inevitable fact of life and why God allows it to co-exist in our day to day struggles, but the only thing that I could attest its vitality is I experience it. There are a lot of questions into my mind as I always encounter broken roads into my life. There are also a lot of non-stop complains into my lips once I start walking through it. But, why do I still go on in spite of all discouragements and embarrassments that I encounter as I walk through life’s broken roads? Why I don’t give up? Walking through life’s broken roads; I firmly believe that it will lead me straight to something good, adequate, admirable, and worthy. This firm conviction is what I hold on to as I persevere in passing and walking through life’s broken roads. 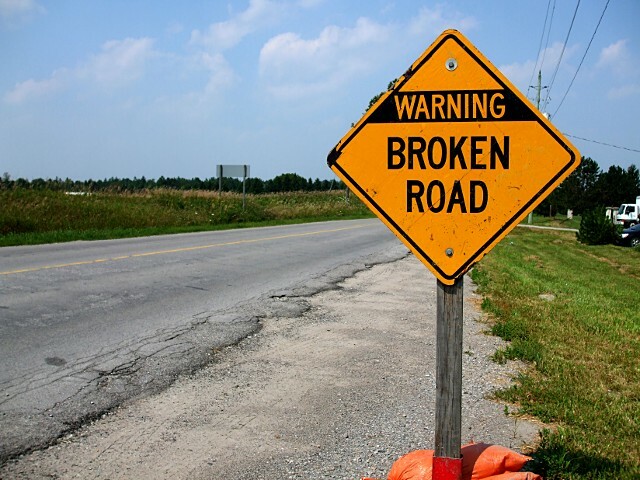 God blesses the broken road leading straight to everlasting joy and happiness-this is what it means for me to persevere in walking along life’s broken roads. Yes, there will always be the tendency to give up and to be hopeless along the road trip. But, as I always instill into my mind, the journey must go on. 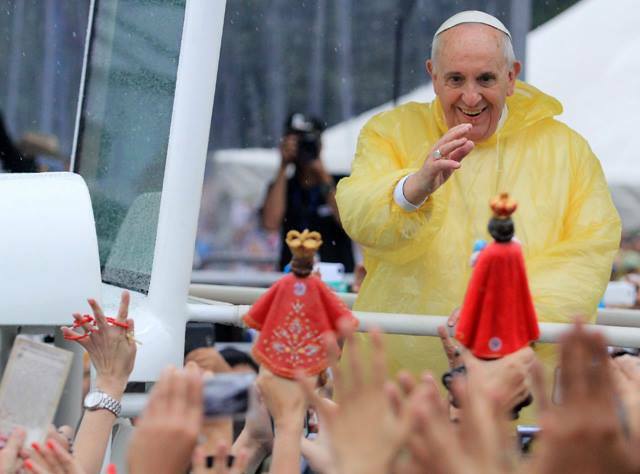 What are the similarities between the visit of Pope Francis here in the Philippines and the Feast of Sto. Niño here also in the Philippines? As I reflected upon the two big events that happened here in my country, I was impelled by one of the lines in the gospel for the Feast of Sto. Niño, i.e. Let the children come to me. One of the touching images that I saw from the events of Pope Francis’ visit here in the Philippines is his affection to the children. His affection to the children reminds me of Christ who is compassionate and merciful to all of us His children. Being His children, we are always being assured of His embrace and blessing that is so comforting. In spite of our unworthiness and shortcomings, His embrace and blessing is enough to be childlike and to be like Him. Just as the Pope who mingled with the Filipino children; embraced them, kissed them, and blessed them, we are being reminded also that: Jesus holds us close and blesses us always like the simple gestures of affection and compassion of Pope Francis which he showed to the Filipino children. Hence, we will only recognize that God holds us close and blesses us if we will take seriously the challenge of the gospel to be childlike and Christlike. To be childlike and Christlike is what the Feast of the Señor Sto. Niño would like to convey to us through the gospel last Sunday. The dual challenge of the feast to all of us believers is the surest way in order for us to be welcomed by Christ’s mercy and compassion. So, why the child serves as the model for our faith as presented in the gospel? Faith is not all about bragging and boasting the truth we believe in. It is not also all about self-righteousness and being upright in front of others that the truth is on our hands; rather, it’s all about depending our whole selves to the promptings of God’s will. It is also all about obeying His words and putting it into practice without counting the cost. Just like the child who depend his whole innocence and self to his parents, it’s the same gesture in our faith to God. Thus, being childlike and Christlike is not all about the name, but the identity itself which grants an assurance that once we abide in this dual challenge of the gospel, to hope in Christ is a possibility and not just a potentiality. So, what is the similarity of Pope Francis and the Sto. Niño? The many examples of Pope Francis that he had shown to his Papal Visit here in the Philippines conveyed to us the message that truly God is merciful and compassionate like a parent who nurses their child. Meanwhile, the Sto. Niño shows to us an example on how to be ‘like his Father’ in order for us to recognize the everlasting love of God if and only if we will depend our whole self to His grace and mercy. It means to say; only a childlike and Christlike attitude will brighten the fact that we have the Father who holds us close and blesses us despite of our unworthiness and shortcomings. Every journey are sometimes challenging, embarrassing, and difficult. Unfortunate events and hopelessness may come along the way as we walk through this life. Hence, it’s really too hard to accept the fact that there are broken roads which really hinders us to see the beauty and the significance of God’s love, mercy, and compassion into our lives. I myself could say that I am not exempted to experience this inevitable reality. An old maxim is right on saying that in every man’s journey there are challenges to endure, difficulties to bear, and pains to accept. But, along my journey, what it seems to be tragic, depressing, perplex, uneasy, and unwelcoming to my naked eyes is grace in the eyes of faith? Why? Why broken roads in my life are blessings in disguise in order that I may be able to feel and abide the love of God into my life? It may be ironic to say that every broken road into our lives is a saving grace. How I may be able to feel okay, hopeful, and joyful if I am crying in pain and sorrow along the several broken roads that I encounter in my journey? As I contemplate upon this, I realized that every broken road in life is part of a grandeur plan prepared for me by God. Henceforth, if there’s always rainbow after the rain, it’s the same with every road that I encounter along my journey. There are always straight roads after broken roads. It means to say, in every pain there’s joy; in every struggle, there’s gain; in every sorrow; there’s love, and in every challenges; there’s hope. In this realization, the invitation of God for me is this, not to lose patience and faith on facing every broken road in my life. Yes, I admit that I am not comfortable to be okay and optimistic in facing every broken road that I walk through in life. But, this is what it means to welcome the love of God into my life. It’s unbearable and unacceptable, but how may I able to recognize His love into my life, if even I cannot let myself pass into the needle’s eye?